Kelliwise was definitely the high point. A decent episode, though they didn't seem to really use Kumail all that much. He doesn't strike me as someone with a lot of range but there was at least one live sketch that he wasn't even in at all. The monologue was funny enough but it usually is when it's just a stand-up doing stand-up. I really like Kumail a lot. He's one of my favorite people on Twitter, I enjoyed The Big Sick as well as his scenes on Portlandia. He really seemed to feel at ease and looked to be relying a bit less on the cue cards than most hosts. There weren't too many duds, yet there were no real stand-outs for me either. And god help them they still have trouble ending sketches. Weekend Update started out pretty solid but then Ivana Trump lasted way too long. Baldwin's Trump was just the usual summary of a week's worth of stupid Trump stuff. I'm entirely indifferent about Pink. She's got a set of pipes on her, I'll give her that. Felt that Weekend Update was on point again. McKinnon's neck prostheses (Film Fest/Nursing Home) stole the show for me. First time in a while I've actually watched through a musical act on SNL - both of them, even. Whoever last week was mentioning the loss of last season's head writers, I know what you mean now. This episode was pretty bland to me, so much so that I can't figure out if it was slightly better or slightly worse than last week's bland episode. When re-upping on a hoary Kellyanne schtick is the high point of the episode (Kellyanne seems to be barely on Non-Fox TV anymore), I think that says something. I'm watching on Hulu and there's no subtitles. Not sure if this is what you're asking, but the wise part is from Pennywise, the clown from IT. Because like clowns, Kellyanne is creepy af. bondcliff: there was at least one live sketch that he wasn't even in at all. That was the Harvey Weinsten/ sexual assault in Hollywood sketch, so I'm certain that was on purpose because the last thing a sketch like that needs is a dude butting in to mansplain. rhizome: When re-upping on a hoary Kellyanne schtick is the high point of the episode (Kellyanne seems to be barely on Non-Fox TV anymore), I think that says something. She reappeared to make the rounds defending Trump's Puerto Rico response, which I think partially is why they did another sketch with her, as well as having an in with an IT parody. I liked the Call Center sketch. Sometimes the filmed sketches that air later in the show aren't as flashy, but I appreciate them more. As a Jew preparing for the annual War on Christmas (hamburger), I'm keeping "All holidays matter" in my pocket. This is the first week this season I'll be showing Kid Ruki anything other than Weekend Update, whereas last year we'd watch the whole episode together. Basically, we feel like we're just killing time waiting for David S. Pumpkins to teach us the real meaning of Halloween. Yeah, they were prescient with the WU and opening Starbucks cup jokes about the war on Xmas. Based on the NFL flap, it’s just gonna keep getting worse. For me, Kellywise was definitely the highlight. I also enjoyed the call center bit—it reminded me of some of the weird short films The Kids in the Hall used to do. So is anyone else tired of an old super-rich non-cast-member spearheading the show every week? I am. I am most interested in the new cast member that's had about 15 seconds of screen time, Heidi Gardner. She seems to have a natural charisma (I mean it's hard to tell with what she's been given so far), the type of actor that makes for a better SNL. I feel that SNL has suffered in recent years/decades for not having enough "naturals"--standouts that pull you into a sketch no matter what the sketch is just cuz you want to laugh along with them. Right now there's Kate, and, for me, that's it. I'd probably put Cecily Strong second! For example, she is really committed to both of the Trump's wives characters and that makes me amused even when I don't really care about the material itself (e.g. Ivana on WU). In the 1990-2005ish period such people were numerous: Mike Myers, Chris Farley, Phil Hartman, Will Ferrell, Kristen Wiig, Jimmy Fallon... and many more were much more memorable than recent years. Wikipedia's all-time cast listing sorted by Year is quite informative. It seems like casting became permanently duller sometime after 2005 (sorry--I'm not saying everyone since is unmemorable or anything, but looking at that list post-2005 I think particularly fondly of only Moynihan and Bayer, excluding the currents). Why can't they find more natural-charisma people, which I imagine there must be tons of, floating around looking for their big shot. I liked the WU bit about the soldiers in Niger story being a test of Trump's autocorrect. "Heidi Gardner. She seems to have a natural charisma"
100% agreement here. Out of all the new additions since I started watching SNL seriously (say 2012 or so) she's been a standout in terms of her immediate ease on-screen. I'll be surprised if she isn't a long-term player. I'm definitely on Team Heidi right now. also who's this "luke null" guy they keep mentioning in the opening credits? Sort of. Baldwin’s fame only matters because I think the writers get lazy and think that because they have him they don’t need to write a real sketch. Just have a press conference or rally where Baldwin recaps all the asinine things that Don did that week. The bits with Pence were good, and they should work the rest of the cast in for variety. Where was Tillerson calling him a moron? Who could possibly play Tillerson? They don't have anybody who can really do a mug. I feel that SNL has suffered in recent years/decades for not having enough "naturals"--standouts that pull you into a sketch no matter what the sketch is just cuz you want to laugh along with them. This was Bill Hader for me for years, as the quality of the cast dwindled and good folks left, until even I was rooting for him to quit and work with people who deserved him. 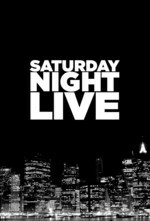 Yeah, my tweet about the show was, "Remember in The Before Time, when not every SNL cold-open was about the President?" Having said that, I also wished they ended the cold open on another call to Pence, sitting in the studio audience for a TV show. Trump: "What are they doing now, Mike?" Pence: "They're saying, Live from New York, it's Saturday Night!" Who could possibly play Tillerson? They used John Goodman as Tillerson before, although I'm not sure if he's done it more than once. I thought this was a pretty solid episode overall, but I really like Kumail so that helps. P!nk isn't the kind of music I seek out, but I enjoy watching anyone talented who appears to be enjoying what they're doing, so I liked the music quite a bit too. I'm also on the enough Trump and Baldwin in general train. There isn't anything new or funny about it so it's just a reminder that Trump exists. I don't need that when I'm trying to watch some comedy unless there is something worth mocking. When everything he says can be mocked by playing it straight right back to us, it's not clever or interesting. 2017 New York Film Festival was OK, but that bit's getting a little old. It's still well done, but the same joke over and over. Update was very good and Call Center was amazing. I wondered why they buried it at the end but after thinking about it, that seemed like the perfect place for that style of piece. "Remember in The Before Time, when not every SNL cold-open was about the President?" No. There was never a before time. Dana Carvey did Bush 1 every other week, Will Ferrell did Bush 2. Phil Hartman did Reagan and Clinton constantly. It has always been about the president, and often in the cold open. Hell, how many falls did Chevy Chase do as Ford? That said, I agree that I've had enough of Baldwin, which is unfortunate. He's always been a Friend of the Show and when he hosts it's always a highlight, but he's been on way too much lately. If anything, I wish they'd do a bit more than just the press conference / weekly dumbassery recap. I also despise Trump so much that Baldwin's ugly impersonation of him is actually upsetting to me. He's an awful, awful man and that just reminds me. At least the Bushes and Reagan were played as more silly than ugly. It always takes the new cast members a few episodes before the writers figure out how to use them. Even Kate wasn't used all that much when she started. If some of them are going to shine, they'll be allowed to shine eventually. I feel that SNL has suffered in recent years/decades for not having enough "naturals"
This is Pete for me. He really seems to have a great personality and he stands out in everything, but he's underutilized either due to having limited range, his health issues, or whatever else. I wish they'd use him more. * My favorite sketch is an option if Kirsten Wiig hosts...and if Fred is willing to show up and play Lawrence Welk. Also I don't want Keenan to leave on general principle. He's such a solid cast member and I think he gets overlooked a lot of the time. SNL MVP for reals. I've linked this piece before but it's given me a whole new respect and admiration for Kenan: "‘If You Take Out Kenan Thompson, The Studio Will Explode’: Insiders at SNL consider Kenan Thompson to be one of the greatest sketch comics ever. As he approaches a record 15th season on the show, maybe you should, too." Thanks lalex, my takeaway was that Thompdon is game for anything and everything, I've always thought that he's a virtuoso at the technical bits of comedy, if not actually making me laugh. Being a good straight-guy takes some competent control of one's autonomic nervous system, fulfilling the end of a straight-guy joke consistently requires something completely different. Like, a lack of a gag reflex.